In the U.S. the 9th Circuit Court of Appeals has ruled that watchmaker Omega's attempt to use copyright laws to block the sale of Omega watches at discounted prices Costco will just not work. By way of background, Costco had bought a quantity of Omega watches intended for sale in Europe, not the US. Costco then imported those watches into the USA and put them on sale in its stores, discounting the prices Omega itself normally sells its watches at. Omega, in an attempt to block this, had inscribed a tiny globe on the back of the watch, a copyrighteded image, and sued Costco for infringement. The case was first fought on 'first sale' grounds, with the 9th Circuit originally siding with Omega, wo had argued that because the globe wasn't "lawfully made under this title" (because it was made in Europe, not under US law), "first sale" rights didn't apply. The case went up to the Supreme Court which ended in a 4-4 tie, because Justice Kagan didn't sit (as she had filed an amicus brief in the case while she was Solicitor General). The case then went back down to the District Court to determine whether or not it was still copyright misuse, even if first sale wasn't an issue. The District Court agreed that it was a misuse of copyright. Omega appealed (of course) and now the 9th Circuit has sided with the lower court, by revising its first sale opinion, thanks to the intervening Kirtsaeng ruling in the Supreme Court - which found that textbooks and other goods made and sold abroad could be re-sold online and in discount stores in America without violating U.S. copyright law. It is clear, then, that Omega has no infringement cause of action against Costco. Omega’s only allegation is that Costco violated Omega’s copyright-based importation and distribution rights by selling gray market watches without a prior authorized first sale in the United States. Omega concedes that it authorized a first sale of the watches in a foreign jurisdiction. 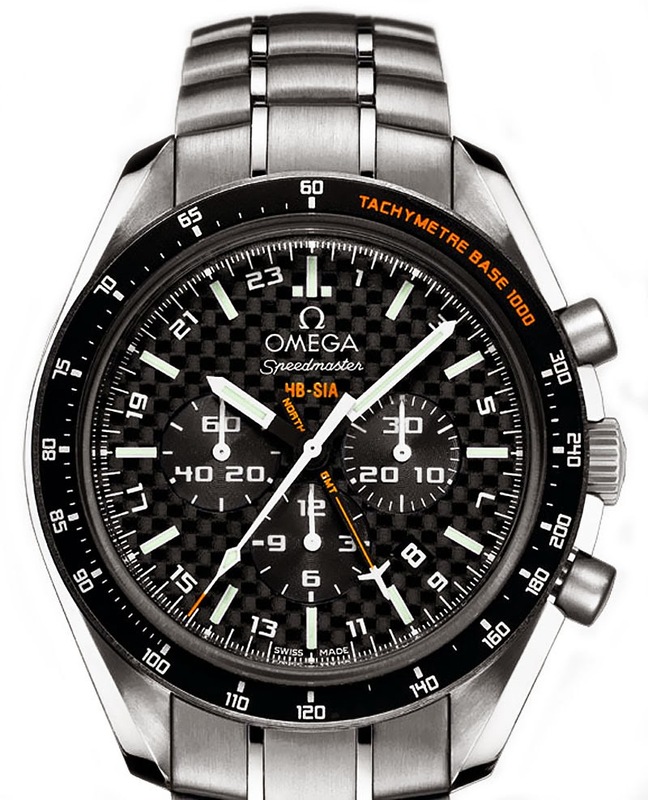 Omega’s right to control importation and distribution of its copyrighted Omega Globe expired after that authorized first sale, and Costco’s subsequent sale of the watches did not constitute copyright infringement. Kirtsaeng, 133 S. Ct. at 1366; 17 U.S.C. § 109(a). Thus, application of the first sale doctrine disposes of Omega’s claim, resolves this case in Costco’s favor, and conclusively reaffirms that copyright holders cannot use their rights to fix resale prices in the downstream market. The district court correctly held that Omega misused its copyright “by leveraging its limited monopoly in being able to control the importation of [the Globe Design] to control the importation of its Seamaster watches.” The district court did not clearly err in finding that: (1) Omega copyrighted the Globe Design, at the advice of its legal department, to control the importation and distribution of Omega watches into the United States; and (2) Omega told its authorized distributors that the purpose of suing Costco was to “stem the tide of the grey market” and the “unauthorized importation of Omega watches into the U.S.” In other words, Omega attempted to use the copyrighted Globe Design to decrease competition in the U.S. importation and distribution of its watches by it and its authorized dealers—an obvious leveraging of a copyright to control an area outside its limited monopoly on the design. Omega argues that its anti-competitive motives are irrelevant to the issue of copyright misuse. According to Omega, our inquiry should instead focus on the copyright holder’s objective conduct or use. But Omega’s semantic hairsplitting is unpersuasive. By definition, “use” includes an inquiry into purpose.... However, we need not decide whether Omega’s motives are sufficient to establish copyright misuse. The undisputed record shows that before this lawsuit consumers were able to a buy a genuine Omega Seamaster watch from Costco for 35% less than Omega’s suggested retail price. This is no longer the case. Thus, at least one consequence of Omega’s lawsuit has been a reduction of intrabrand price competition for uncopyrightable Omega watches in the United States. The Copyright Office granted Omega the exclusive right to control the importation and distribution of the Globe Design into the United States. It did not empower Omega to restrict competition from unauthorized retailers selling genuine, gray market Seamaster watches in the United States. Although the Globe Design engraved on the underside of the Seamaster watches was copyrighted, Omega misused its copyright when it used its intellectual property protection to obtain a copyright-like monopoly over uncopyrightable Seamaster watches.... Omega’s expansion of its copyrightlike monopoly eliminated competition from unauthorized watch retailers like Costco, thereby allowing Omega to control—through its exclusive distributor, Swatch U.S.A.—the retail pricing of Seamaster watches sold in the United States. If the copyright law allowed Omega to use its copyright to combat the importation and sale of all gray market watches that are stamped with the Globe Design, it would effectively grant Omega a copyright-like monopoly over the distribution and sale of Omega watches in the United States. Because such an outcome directly controverts the aims of copyright law, it is impermissible. “The limited scope of the copyright holder’s statutory monopoly, like the limited copyright duration required by the Constitution, reflects a balance of competing claims upon the public interest: Creative work is to be encouraged and rewarded, but private motivation must ultimately serve the cause of promoting broad public availability of literature, music, and the other arts.” Twentieth Century Music Corp., 422 U.S. at 156 [footnote omitted]. Omega’s attempt to expand the scope of its statutory monopoly by misusing its copyright in the Globe Design upset this balance. The watchmaker’s anticompetitive acts promoted neither the broad public availability of the arts nor the public welfare. Instead, they eliminated price competition in the retail market for Omega watches and deprived consumers of the opportunity to purchase discounted gray market Omega watches from Costco. Omega misused its copyright by engraving the Globe Design on the underside of its watches, and attempting to use copyright law to eliminate intrabrand competition from Costco in the retail watch market. Because the District Court correctly held that Omega misused its copyright in the Globe Design by attempting to leverage its limited monopoly over the design to control the importation and sale of Seamaster watches, I would affirm the District Court on the issue of copyright misuse. Some would like to gave seen more on misuse: Writing on TechDirt, Mike Masnick opines: "While I understand why the majority ruling just went with the easy out with First Sale, it's too bad that this concurring ruling isn't the majority ruling, as we could use more useful opinions like this one when it comes to copyright misuse. Either way, kudos to the court for properly recognizing that even if you buy a watch outside the US, you should actually own it, and that copyright law shouldn't be able to get in the way of those property rights."